An avenue-by-avenue guide to the most family-friendly area outside Orlando. It's a whole lot easier to list what's not geared toward kids on the Upper West Side: Ouest, Barneys Co-op, Lincoln Plaza Cinemas, Dive Bar. Done. The venerable Manhattan nabe, sandwiched between Central Park and Riverside Park as perfectly as the creme in an Oreo, is brimming with so many tot-focused shops, eateries, museums and play spaces that grown-ups can feel like too-tall interlopers. 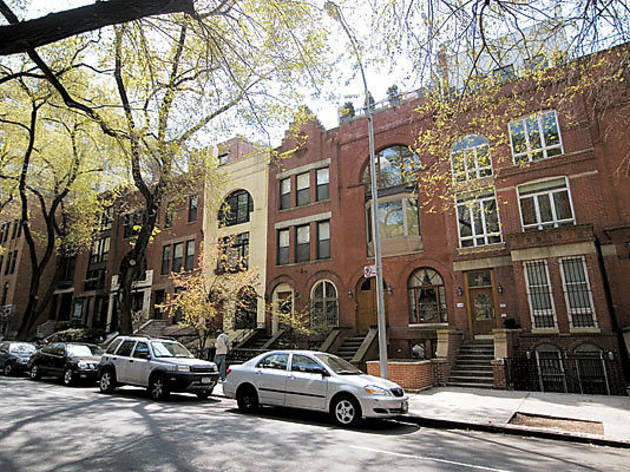 But there's no better place for a weekend family walk than these leafy streets lined with grand Beaux Arts apartment buildings and Italianate brownstones. Just don't try to cover the area in one sweep; pick a single avenue to stroll down, and take your time. Begin at Little Shop of Crafts (711 Amsterdam Ave at 94th St, 212-531-2723), a neighborhood mainstay offering workshops in beading, mosaics and T-shirt design for kids and adults. Several blocks down, you may spot girls in pink leotards getting picked up from Ballet Hispanico (167 W 89th St at Amsterdam Ave, 212-362-6710), where lessons are also available in jazz, salsa and hip-hop. To sample the UWS brunch scene, pop into Popover Café (551 Amsterdam Ave at 86th St, 212-595-8555); the namesake oversized baked goods are as entertaining as they are tasty, and the coconut-almond-crusted challah French toast soothes a savage sweet tooth. Another favorite sit-down spot is the cavernous, elegant Dean's Pizzeria (215 W 85th St between Amsterdam Ave and Broadway, 212-875-1100), serving classic round or extra-thin square pies. You can feel good about dropping cash at the well-stocked A Time for Children (506 Amsterdam Ave between 84th and 85th Sts, 212-580-8202), which donates 100 percent of its profits to the Children's Aid Society; the boutique sells Hanna Andersson baby clothes, candy-colored socks, stuffed Paddingtons and a selection of books. At West Side Kids (498 Amsterdam Ave at 84th St, 212-496-7282), the shelves overflow with Haba baby toys, Melissa & Doug wooden puzzles, craft supplies, classic board games and trucks galore. A bulletin board with Polaroids of local kids welcomes shoppers at Roam (488 Amsterdam Ave at 83rd St, 212-721-0155), where moms swoon over Egg Press bodysuits, shower invites and reasonably priced toddler fashions, from puff-sleeve tees to kimono tops. Bring tiny tots to the Children's Museum of Manhattan (212 W 83rd St between Amsterdam Ave and Broadway, 212-721-1223), for hands-on exhibits about the environment and ancient Greece, plus areas dedicated to messing around with sand or paint. Ready to nosh again? Hampton Chutney Company (464 Amsterdam Ave between 82nd and 83rd Sts, 212-362-5050) is an airy, casual oasis with calming yoga music, a kids' corner outfitted with shelves of board books and a deep, carpeted window seat filled with teddy bears. The delicious Indian dosas enfold adult-pleasers like potato masala or grilled asparagus with goat cheese, while the kids' menu offers less-highfalutin combos like turkey-and-cheese. For an old-school feel, try the bright blue booths at EJ's Luncheonette (447 Amsterdam Ave between 81st and 82nd Sts, 212-873-3444); kids eat dinner for free on Fridays and Saturdays. Roppongi (434 Amsterdam Ave at 81st St, 212-362-8182) is an unexpectedly accommodating spot to bring sprouts with sophisticated palates. "Udon noodles, sticky rice, chicken teriyaki and miso soup are their favorite things in life," says local mom Elizabeth Franco of her two boys, Benjamin, 6, and William, 1. "The restaurant has only two high chairs, but we've never had a problem. And it's so chill that it can actually be relaxing to take the kids." The always-packed hair salon Cozy's (448 Amsterdam Ave at 81st St, 212-579-2600) seats little ones in a fire truck facing the TV so that little bobs come out nice and even. For a final sugar rush, pick up red-velvet and caramel-chew cupcakes from the famous Crumbs Bakeshop (321 Amsterdam Ave at 75th St, 212-782-9800). Less densely commercial than Amsterdam, this thoroughfare still holds a full weekend's worth of enticements. The salon Dashing Diva (590 Columbus Ave between 88th and 89th Sts; 212-877-9052, dashingdivawest.com) often has as many children sitting in its chairs as adults; pedis for kids under eight are $20. If that's not your style, check out Hands On! (529 Columbus Ave between 85th and 86th Sts, 212-496-9929), an instrument-based music education program for infants, toddlers and preschoolers. Kidville (466 Columbus Ave between 82nd and 83rd Sts, 212-362-7792) coifs your child while distracting him with DVDs, toys and fun seats, but doesn't stop there; its mini caf, well-stocked clothing boutique, birthday party program, and sports and art classes make it a complete microcosm. Greenstones & Cie (442 Columbus Ave between 81st and 82nd Sts, 212-580-4322) rounds out its gorgeous stockpile of jackets, pants, dresses and sweaters with hair bands, baby hats, Robeez and Pediped footwear, and a stylin' collection of bibs—in prints like sushi, yellow taxis and i HEART ny. One of the nabe's big draws is the American Museum of Natural History (Central Park West at 79th St, 212-769-5100), where you can spend the entire day or just take a break from the stroller traffic to catch a wild IMAX flick. The museum also offers a range of summer day camps focusing on topics like robotics, water, fossils and astrophysics. On Sundays from 10am to 5pm, don't miss the big flea market and Greenmarket at M.S. 244 (100 W 77th St at Columbus Ave, cenyc.org), where kids can run around while you browse fresh produce, vintage clothes and jewelry, music and lots more. Love 'em or hate 'em, Crocs (270 Columbus Ave at 73rd St, 212-362-1655) sells comfy, colorful shoes and sandals that little ones adore. Or go upscale at Z'Baby Company (100 W 72nd St at Columbus Ave, 212-579-2229), for girlie frocks, hipster cargo pants and rock-star dresses with silk screens from the Rolling Stones to AC/DC. New York Kids Club (265 W 87th St between Broadway and West End Ave, 212-721-4400) supervises tykes six months through six years during unstructured playtimes, and offers classes in dance, crafts and martial arts. And children's flicks usually reign at the AMC Loews 84th Street 6 (2310 Broadway at 84th St, 212-877-3892), where the first screenings of the day start around 10am. At neighborhood institution Harry's Shoes for Kids (2315 Broadway at 84th St, 212-874-2034), staffers will get your tot properly fitted with a new pair of Primigis, Pumas, Uggs or Stride Rites. The Zeyna and Philippe shop (2265 Broadway at 82nd St, 212-580-4401) stocks kids' clothing in sizes from infant to tween, Petunia Pickle Bottom diaper bags, board books and yoga wear for mom. A surprise hit, though, is Essential Plus (2259 Broadway between 80th and 81st Sts, 212-724-4905): a drugstore at street level but a toy wonderland one flight up, complete with two train tables (Brio and Thomas & Friends). You'll know you've found it when you see the flock of toddlers gathered around the coin-operated Flintstones car and Bert-and-Ernie fire truck out front. Finish up at Italian gelateria Grom (2165 Broadway at 76th St, 212-362-1837), where a small cup of all-natural frozen goodness will set you back five bucks—but don't scream highway robbery until you've tasted it. We suggest a combo of the fragola (strawberry) sorbetto and tiramisu gelato. Local parents recommend Riverside Park's Hippo Playground (Riverside Dr at 91st St), for its swings, climbing equipment and hippo sprinklers, and Elephant Playground (Riverside Dr at 76th St). West Siders also favor Central Park's Safari Playground (CPW at 91st St), which has a tree house, picnic tables and a toddler jogging path. 154 W 93rd St, Upper West Side. 212-222-1450. Grades K--8. What's special: Unusual level of parent involvement. Downside: Atmosphere may be too relaxed for some children. 735 West End Ave, Upper West Side. 212-866-6313. Grades 6-8. What's special: Innovative curriculum, caring community. Downside: Cramped quarters on top floor of elementary school. 108 Amsterdam Avenue, Upper West Side. 212-496-0700. Grades 9--12. What's special: A haven for artists with a nice racial mix. Downside: The size of the school can be overwhelming. 150 W 105th St, Upper West Side. 212-678-2857. Grades K--5. What's special: An abundance of bilingual and gifted and talented classes meets the needs of a diverse student population. Downside: Getting parents involved is a challenge for the principal. 163 W 97th St, Upper West Side. 212-678-2854. Grades K--5. What's special: Diverse student body, lively faculty, humming classrooms. Downside: Kindergarten classrooms housed in trailers. 234 W 109th St, Upper West Side. 212-678-2873. Grades K--5. What's special: Gifted and talented and dual language programs. Downside: Old, shared building could use more repairs; parents say more safety agents are needed. 132 W 89th St, Upper West Side. 212-678-2829. Grades K--5. What's special: Nicely renovated building with outdoor garden for reading. Downside: Building is divided by race and class. 210 W 61st St, Upper West Side. 212-757-4343. Grades K--5. What's special: A small intimate atmosphere with resource rich classrooms. Downside: Future of gifted program in jeopardy. 270 W 70th St, Upper West Side. 212-799-1033. Grades K--5. What's special: Ethic of tolerance toward children with disabilities. Downside: School's popularity makes it difficult for those outside the neighborhood to get in. 735 West End Ave, Upper West Side. 212-866-5400. Grades K--5. What's special: Strong dual-language program with small class sizes. 32 W 92nd St, Upper West Side. 212-799-2534. Grades K--5. What's special: Small class size and strong focus on arts. Downside: More parent involvement needed. 160 W 78th St, Upper West Side. 212-678-2826. Grades K--5. What's special: Creative teaching and high levels of achievement. Downside: School lost librarian because of budget cuts. 100 W. 84th St, Upper West Side. 212-678-2812. Grades K--5. What's special: Good teaching & good art; popular gifted program. Downside: Each program needs a better mix of race and social class. 129 W 67th St, Upper West Side. 212-501-3318. Grades K--8. What's special: Rigorous musical training based on model developed in former Soviet Union. Downside: Demanding program is unsuitable for children who lack keen interest in music and discipline to practice. 100 West 84th Street, Upper West Side. 212-595-7193. Grades K--8. 100 W.77 St, Upper West Side. 917-441-0873. Grades 6--8. What's special: Everyone says they integrate technology in the curriculum but here they really do it. Downside: Tiny, noisy cafeteria. No science lab or lockers. 154 W 93rd St, Upper West Side. 212-678-5888. Grades 6--8. What's special: Small school, high expectations, nurturing atmosphere. Downside: Many students need a lot of catch-up in academics, so scores are still too low. 270 W 70th St, Upper West Side. 212-799-1477. Grades 5--8. What's special: An unusual combination of great warmth and rigorous academics. Downside: The only downside is its popularity because that makes it very difficult to get in. 32 W 92nd St, Upper West Side. 212-799-2653. Grades 6--8. What's special: Cozy, safe environment; strong arts, two teachers in every class. 100 W 77th St, Upper West Side. 917-441-1163. Grade 6--8. What's special: The school is a calmer place than it was. Downside: Academic achievement remains low. 103 W 107th St, Upper West Side. 212-678-2861. Grades 6--8. What's special: Delta honors prepares kids well for specialized high school exam; new sense of community in the school. Downside: Building could be better lit; class changes are loud; cafeteria is small. 154 W 93rd St, Upper West Side. 212-222-2857. Grades 6--8. What's special: Determined new principal and brand new quarters. Downside: Still a long way to go to reach high achievement goals. 234 W 109th St, Upper West Side. 212-678-2960. Grades 6--8. Downside: The amount of homework can be overwhelming. 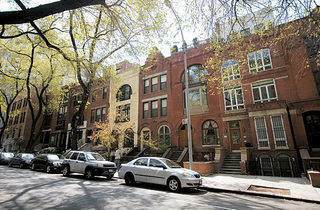 210 W 61st St, Upper West Side. 212-757-4343. Grades 6--8. What's special: High aspirations and community spirit. Downside: Test scores somewhat low for a selective program. 145 West 84th Street, Upper West Side. 917-441-5600. Grades 9--12. What's special: State of the art facilities with an emphasis on technology. Downside:Low attendance; slow progress in academics. 237 West 61st St, Upper West Side. 212-245-2807. Grades 9--12. What's special: Conscientious, caring teachers and lots of arts. Downside: Overcrowding; some kids may need more structure. 140 West 102nd Street, Upper West Side. 212-678-7300. Grades 10--12. What's special: Enthusiastic staff dedicated to education of older students who have not found success elsewhere. Downside: Attendance is poor. Reconciling an alternative culture and new state standards remains a challenge. 122 Amsterdam Avenue, Upper West Side. 212-799-4064. Grades 9--12. What's special: Teaching artists from the Lincoln Center Institute. Downside: School is housed in a windowless basement. 122 Amsterdam Ave, Upper West Side. 212-501-1235. Grades 9--12. What's special: A new approach to college prep. Downside: Drab building with metal detectors. 122 Amsterdam Ave, Upper West Side. 212-501-1201. Grades 9--12. What's special: The opportunity to connect with high-powered law firms. 122 Amsterdam Ave, Upper West Side. 212-501-1198. Grades 9--12. What's special: A new mini-school has a principal with a vision and a capable young faculty. Downside: Housed in an imposing and unwelcoming building, with lingering high security atmosphere. 122 Amsterdam Ave, Upper West Side. 212-501-1110. Grades 9--12. What's special: Unique opportunity for students to work with some of the major media institutions in the city. Downside: School may not be attractive to students looking for a lot of structure.